The 5th Annual Egypt Trade & Export Finance Conference discussed various matters that were significant to Egypt's trade finance and export schemes. 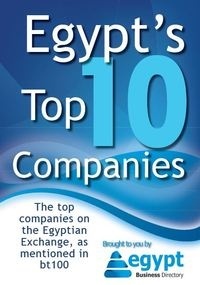 Exporta’s 5th Annual Egypt Trade & Export Finance Conference took place in Cairo at the Four Seasons Hotel at Nile Plaza on October 10, and attracted the region’s senior corporate and banking decision makers to discuss the current trade environment and the opportunities offered by this exciting market. As the domestic market has experienced varying degrees of volatility and global trade dynamics are changing at an increasingly rapid pace, the conference was well placed to tackle key issues such as corporate risk appetites, the increased focus on capital management, Islamic finance, the impact of Asian investment and trade, Basel III, the demand and availability of export finance, current trends and future projections for the insurance market and the role of financial institutions in facilitating economic growth. A corporate panel discussion – including El Sewedy and DHL Express – set the scene for the comprehensive one-day conference and explored the trading challenges facing the market. Focus also centred on the role of banks and their ability to facilitate trade in the current climate and how risk appetites were affecting the availability of liquidity. Expert speakers gave their unique insight into the investment potential of Asia. Mr. Karim Helal, Chairman of the Asean-Egypt Business Association, explained that Egypt has to be aware of competition from other emerging markets for valuable liquidity and that the country needs to find what it is good at and specialise in this sector. Presentations of why Islamic finance needs a new model, best practices in collateral management and how the continued eurozone debt crisis is affecting trade were also popular subjects. As with all Exporta events, networking was a key theme throughout the day. The event provided the ideal setting for peer-to-peer networking amongst key decision makers, with new business relationships being formed as well as the chance to meet old friends. The conference welcomed support by HSBC Bank Egypt, Afreximbank, ICIEC, Fiani Advisory and Pinnacle Solutions.